We are so thankful for each of you who serve each other at Gateway Church. One area that people serve at Gateway is in the area of Worship Tech. Kevin Boose serves in this way at our N Main campus. Check out what he has to say about serving, and check out ways you can serve at Gateway, too! 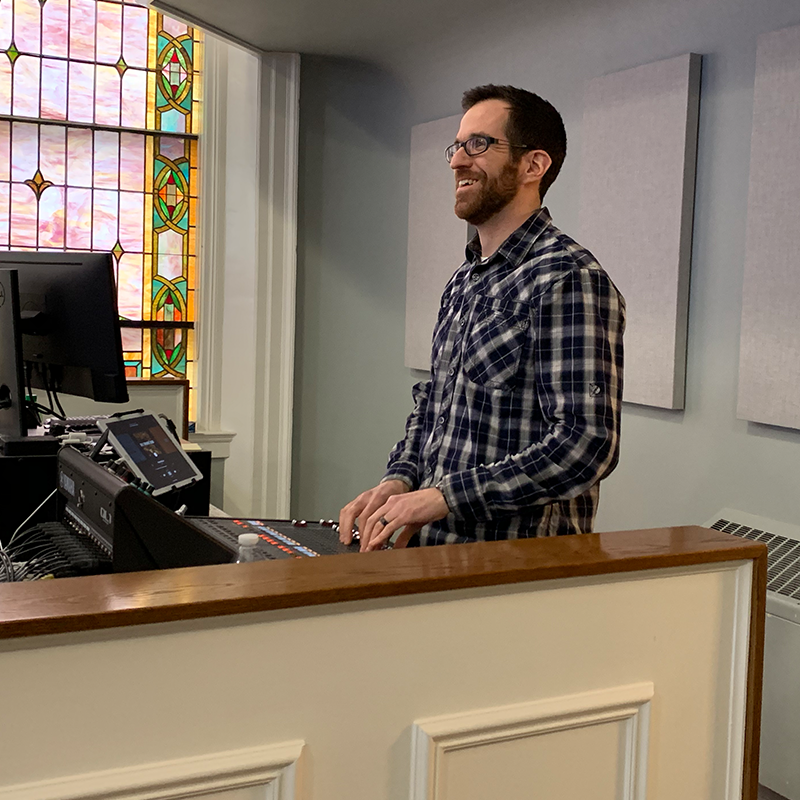 Kevin Boose serving at the sound board at our N Main campus. How long have you attended Gateway?...been a volunteer in Gateway’s Worship Tech ministry? I have been attending Gateway since the beginning of 2014. I started serving on the Tech team at CR9 by operating the video camera. Currently, I serve at North Main taking care of the lights and slides during the services or by operating the sound board. Doing the sound is something new for me that I think I'll be doing more of in the future. Occasionally my wife, Samantha, and I will volunteer in the North Main nursery, too. Why did you initially volunteer to serve with worship tech? We talked about serving during a Life Group meeting once and it got me thinking about the people who make the services what they are. I was inspired to look into a way I could fill a need or at least help lighten the load for those who were already serving. My Life Group leader (Dave Lehman) also volunteers for the Tech team, so I thought that would be a good place for me to start. What do you enjoy most about serving with worship tech? I really connect with the music at Gateway, and this is a way for me to be involved with it without being a musician or singer. Do you have a favorite memory of working with worship tech at Gateway? I enjoyed being on the Tech team the weekend that Ray Ortlund , Jr. visited and preached. I had a chance to meet him and be a part of a unique experience at Gateway. What do you enjoy doing when you are not connecting people to Jesus Christ and to one another as a volunteer? I enjoy spending time with my wife, Samantha, and my son, Owen, reading, and growing vegetables in our garden. Pick an area that interests you and give it try! It may be a way God is trying to help you grow and help others grow as well!